Though Jumia is an online store, the leading national retailer now has three brunches in the country. 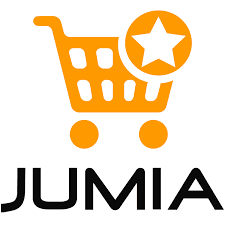 I this post, we look at Jumia Kenya location for it’s headquaters branch in Nairobi. Jumia Kenya offices are located in Kaka House in Westlands. This is along Maua Close off parklands road and opposite Unga House. The Nairobi Office serves Nairobi area, Kiambu and the other areas in the country not served by Mombasa and Nakuru regional offices. To get more details about Jumia.co.ke, visit their website by following the link. Do you stock Techno L8 plus phones and can I buy one piece from your Wetlands offices since In eed it urgently. Yes they're there. Order online by following this link and then pick the phone up from Kaka House Westlands. If I want to buy something lets say a phone or a phone accessory like a battery is it compulsory to order online? can i come directly to kaka house to buy tv there? It means a physical feature you'd use to describe where you live. e.g. Near Lake View school, Next to Shell Petrol Station, Behind the Catholic Church etc. Can I do my purchase directly at your offices or everything is just online? And if it is online, do you have a cover for huawei media pad 10? Hi there.I need to come see you urgently kindly give me your proper mobile number or location.My name is Deval and my number is 0722-948484. Can I get BROWN kiwi & NAVY BLUE kiwi please? Do you guys work on Saturday? I would like to buy 43″ ” hisenae or synx TV pls where would get it in Nairobi urgently. in need of Infinix Hot 6″ but during your time of “Jumia 6th anniversary offer”.,..will i book first n then come @ your shop,Nairobi or will u deliver it after paying….from Thika. Benson, you order online and say where you want the phone to be delivered. You have can either have the option of paying online or on delivery. Be to look out for the best Jumia anniversary deals in the next few hours. please iam interested in buying a led projector online.and i am an able.advise me on the process.